For todays post I thought I would share with you one of my secret passions. I love doing windows. What I like doing is creating store window displays. It's one of my most favorite things to do because it gives me a chance to use my creative skills from a promotional and business point of view. I have to think like a customer yet also like a business person who needs to get the message of their store, their brand and their products across to potential customers. I really do consider it an art form. It can't be too busy, your message has to be clear. I like window shopping myself and find myself obsessed with taking images of store windows that I like or that inspire me. If a window is well executed it should entice customers into your store, give them a moment of pause perhaps possibly put a smile on their face. This is a special project I take near and dear to my heart as the owner just happens to be my boyfriend and very important to me. It all started late last November when Peter had four of these suspended glass cubes installed in his storefront windows replacing a shelving unit. He asked me, what would you do with them? I said I would fill them with pretty things, which led to will you do them for me? Yes, and actually I couldn't wait to do them for him. 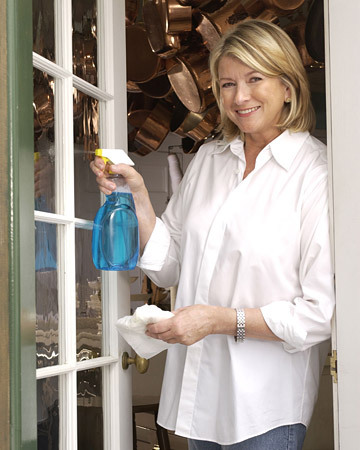 And bring a rather uptown look (that's what he calls it) to his windows just in time for Christmas! My concept was to have each cube hold a little vignette. For Christmas I thought lots of sparkle with little silver Christmas trees would be perfect. Fast forward a couple of hours later. With my in store foraging for props this cube was done. The fake snow is actually epsom salts and those aren't real diamonds :) and they added just the right amount of sparkle. Each of the four cubes holds a little vignette. 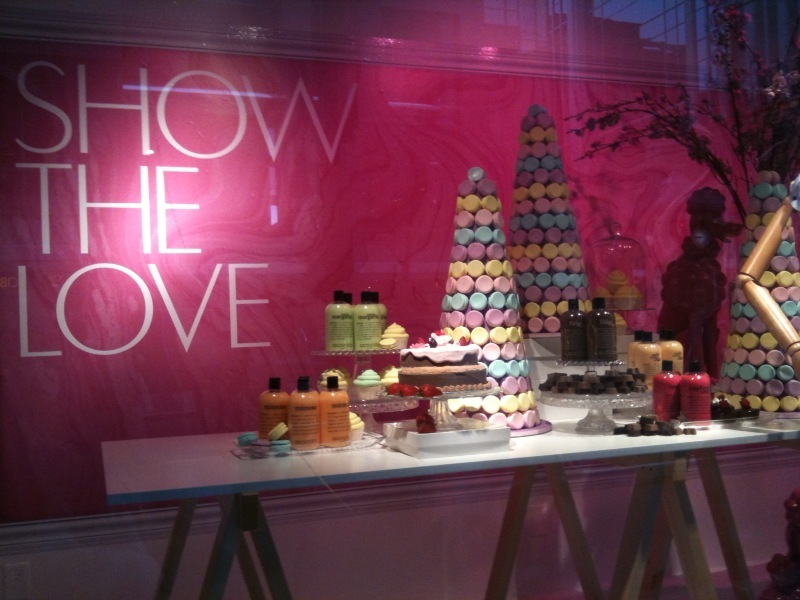 Next came the Valentines Day window display. 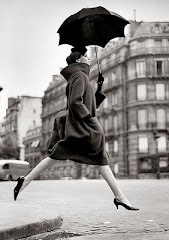 For inspiration I thought of love. And then pretty thoughts of red roses and jewellery came immediately to my mind after all this is a jewellery store. The above photo I took last spring in Montreal while walking down the steet one sunny day. 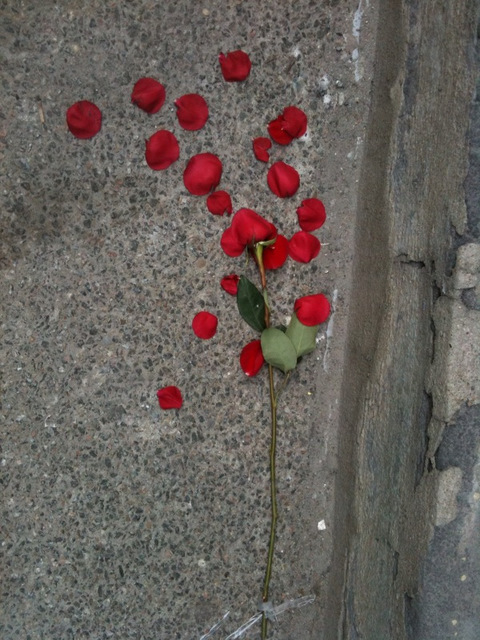 I saw this single stem of roses lying on the pavement streets scattered by the wind yet perfectly placed. The red just seemed to pop off the concrete background. At the time I wondered how many other people would have noticed it. Sorry I digress but I thought this was really unique. With my inspiration in mind I let red roses set the tone for all the window cubes. They paired so nicely with Nortons corporate colour navy blue. Incidentally the two cubes on the far right never hold jewellery only a message they are just too difficult to empty on a nightly basis. This is necessary due to the possibility of theft which is something I had to consider. For this cube I thought the message was pretty clear. I do! Next up I had to think of what I was going to do for Spring. And when I think of spring I think of the freshness of colour. I decided to use tulips and moss as props to showcase a display of whiteware. 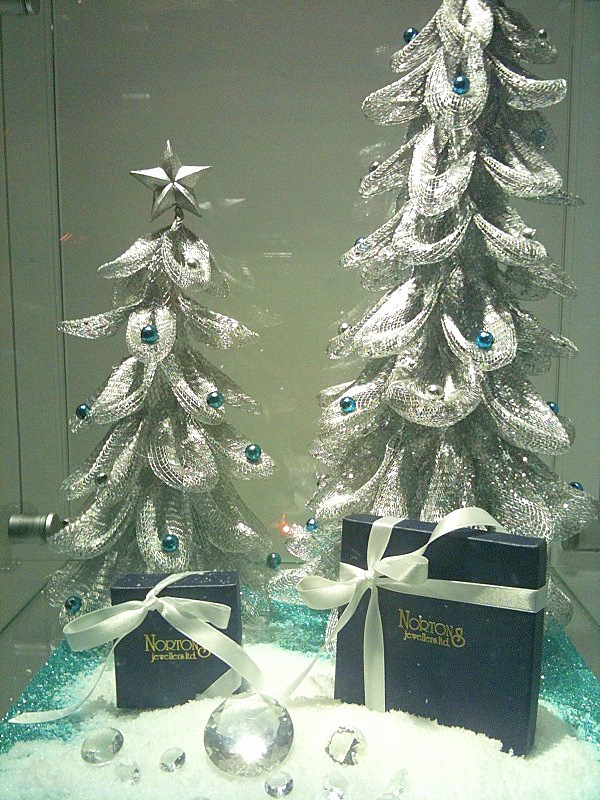 At Nortons Jewellers besides their beautiful jewellery they also sell giftware including dinnerware. 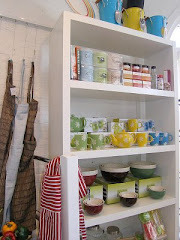 I am inspired with the Sophie Conrans line of dishes. So I thought it was time to change things up a bit and showcase some of the other products they carry in the store. On another very positive note I had a computer malfunction last week where I thought I lost the hard drive on my laptop... Very scary. Thanks to the techy guys at Computer Guru all my files were saved. Note to self and reminder to readers. Please do regular back-ups! For todays post I thought I would share a few pictures of the shop now that Springs has finally arrived. Everytime a new shipment arrives we find ourselves looking for ways to display all the new merchandise in a fresh way so our customers can visualize it in their homes. I'm always inspired by colour! While Anita was away on vacay last week, Ellyn and I were busy rearranging the shop. 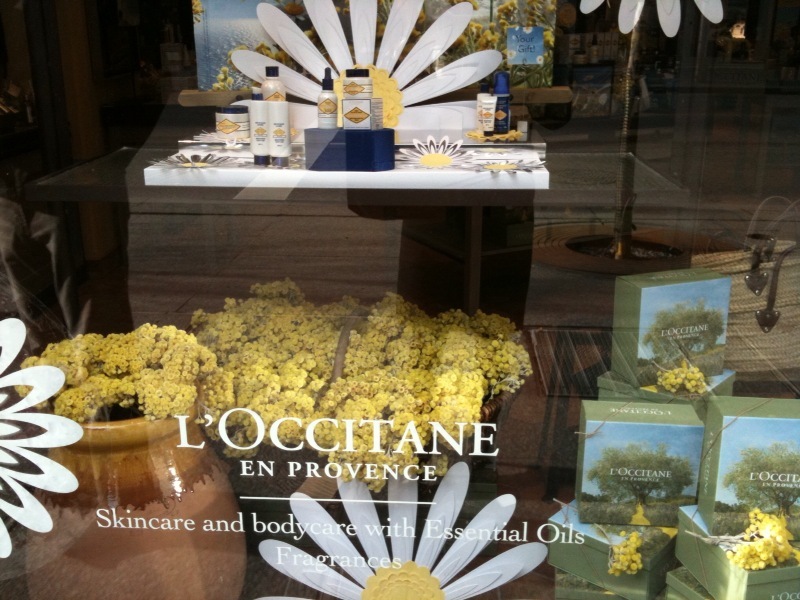 The minute you enter the store we've set the tone for using colour including fresh sunny yellow. We're pairing it up with greens, blues, reds, grays and turquoise for a fresh spring look. Our livingroom display of yellow with grey, purple, silver, white, and black speaks fresh to me. Pretty things for your table including whiteware bowls and candle holders, new placemats, napkins and lemons for added pops of colour. I'm totally in love with colour and coral motifs this year. Cushion covers $27.50. Feather inserts $17.50. A little do it yourself project using river rocks, coral, rope and indigo coloured reindeer moss. In this section of the store we combined turquoise with white, vivid black graphics and yellow printed fabrics and artwork. Our bedroom display is a mix of vibrant colours. 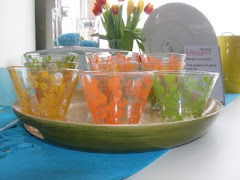 For those prefering a more earthy palette that's still very fresh, How about greens, oranges and brown? We still using orange, this time pairing it up with teal blues and chocolate brown, yum. One final look at some new colourful botanical prints. 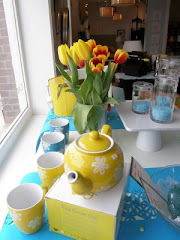 I hope I've inspired you to have a fresh look at your spaces and add some delicioius colour this Spring. For todays post I thought I would do a little designer take on How It's Made. All the steps that go into the making of a custom sofa ordered from Moving Designz. Ever wonder where your custom sofa comes from? I bet you haven't. I didn't either until I became a shop owner. 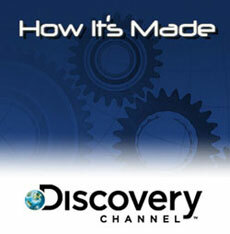 We've all seen the show or flicked by it on the Discovery Channel seeing how numerous things are made. If or should I say when I actually have the tv time I'll usually stop at that channel and watch because I'm curious. I want to know. I want to share how Canadian made sofas and chairs are constructed and all the steps in between. In early March I was in Toronto for The Heart and Stroke Foundation's Heart Truth Fashion Show. It was an amazing evening full of gorgeous "famous" people and beautiful red dresses bringing awareness to a very important health concern that will affect us or our families. I did the logical thing and combined personal time with business. Are you curious like me? How does your sofa get built? The first step is the designers vision and artist's rendering of the sofas and chairs. I took these photos directly from the walls surrounding the area where sofa patterns are made. This is the starting point on how each and every sofa and chair frame will be constructed. Once the building process is figured out, a pattern of stiff cardboard outlining the wood pieces and how they will fit together is made, numbered and named for each piece. It's just like a jigsaw puzzle waiting to be put together. These pieces will form the frames that our manufacturer will use to produce into sofas and chairs that we sell. Based on the above patterns the chairs and sofa frames are constructed out of select hardwood for lasting durability. May I just say this facility is huge with endless frames just waiting to be finished. No sag springs will be added to the frames creating sturdy long lasting sofas and/or chairs. An assembly line of chairs just waiting to be finished in beautiful custom fabrics. Fabrics custom options chosen by us and other dealers are allocated to the sofas and chairs. 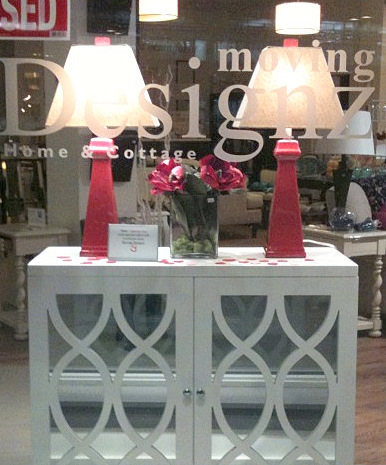 We have hundreds of samples on hand at the shop to coordinate with any room, taste or budget. The instock fabric wall. Bolts and bolts of fabric just waiting for the next step. Directly beyond all the fabrics is the cutting table. This is where the fabric is cut out for the individual sofas and chairs. Next up the sewing table. They sew every piece that will make the cushion covers. After visiting the sewing department I enter upholstering area with it's mountains of foam and filler. This is where the fabrics and finishing details get applied. Each and every piece is hand finished by professionals who know their craft. A little further along and I get to see some of the finished sofas. At this point the sofas and chairs are inspected for quality control. They have a sign for the area where all the sofas and chairs end up after the quality control check. Once all the sofas and chairs are approved they get wrapped in cardboard first and then thick plastic packaging to protect them during shipping. Are you curious about what I bought for the shop? A most beautiful collection for the shop. I can't wait until they all come arrive in April! Hi My name is Susan Snow and I live and work on Prince Edward Island. My company is Moving Designz Interior Decorating. I love my job! I opened a store "Moving Designz Home & Cottage" to feed my addiction to great design and shopping. I think it's a fabulous store with lots of beautiful furniture and hip home decor. We are located at 98 Fitzroy St in downtown Charlottetown. 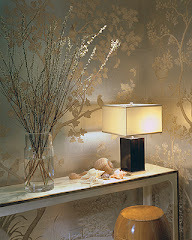 My design studio is now located inside the store with plenty of beautiful fabric books, furniture and lighting resources.